It seems like I’ve been waiting just about FOREVER for a new release from one of my favorite authors (it’s always so much loooonger when it’s anticipated!). 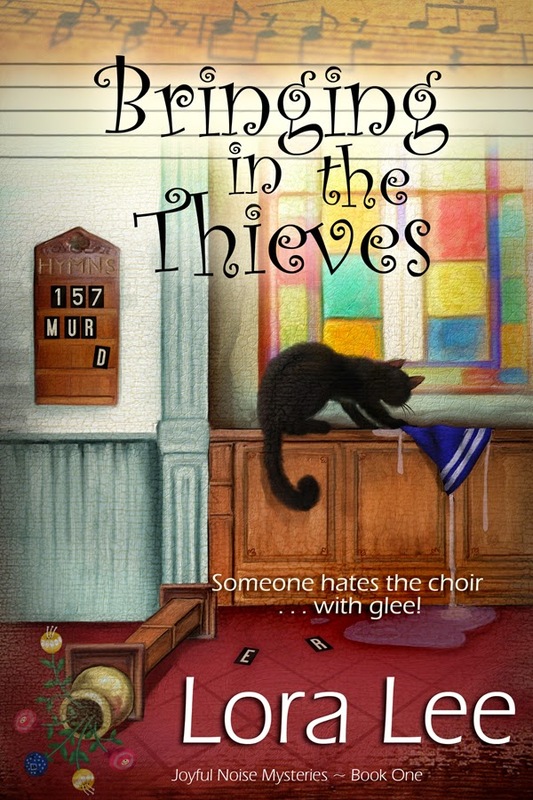 I’m so excited to raise the roof over BRINGING IN THE THIEVES, the first book (of hopefully MANY!) in Lora Lee’s “Joyful Noise” cozy mystery series. You might already know Lora Lee as Loralee Lillibridge, and realize you’re in for a great curl up in a chair, turn off the phone and shoo away the family read. If not, it’s my pleasure to introduce you to both the book and the author – one of my fabulous critique partners and role model (I want to be LL when I grow up!) who can’t help but tote around a ray of Texas sunshine wherever she goes, and knows how to eat grits the right way, just like I was taught! Give a big “Yee Haw” welcome to Lora Lee as she shares a bit about herself . . .
Party dress or blue jeans? Definitely blue jeans at home, but I’m all for a party dress once in a while. Night owl or early bird? Early bird, simply because I wake up early. I’d love to sleep late some morning. Five words your friends use to describe you? Really? I have no idea. Majestic? Regal? Wise? Wonderful? Her Highness? Five words you use to describe yourself? Stubborn, adventurous, curious, loving, family-oriented. Other creative outlets? Travel and reading. Things that make you go “EEEEEEK!” Definitely spiders and snakes! Favorite books from childhood? Black Beauty, Little Women, all Nancy Drew books. Three favorite movies? The Quiet Man – African Queen – National Velvet. What’s on your Bucket List? Another trip to Ireland. Something quirky about you that no one knows (we won’t tell anyone!)? I don’t like coconut in any form except for flavoring for pina coladas. Favorite comfort food? Chicken-fried steak with white gravy and biscuits. Also grits with butter, salt and pepper –NO sugar or milk ever! Favorite type of hero (Type A bad boy or Type B good guy) (Which would you rather live with?) Hmmm. Good question, Nancy. I’d rather live with a good guy who had just enough bad boy in him to be interesting. Very interesting! Favorite genre to read? I don’t write in any of these genres, but I do love a good Western like Lonesome Dove. Also enjoy a riveting Romantic Suspense by Donnell Bell or C. Hope Clark. Always a Nora Roberts fan. What are you reading right now? In Bed With a Spy by Alyssa Alexander and Blood Magic by Nora Roberts. Favorite books you can read over and over? The Born In trilogy by Nora Roberts, The Last True Cowboy by Kathleen Eagle and Jackson Rule by Sharon Sala. OCD plotter or free range pantser? Well, I wish I could claim to be a plotter of any kind, but I free range write for several chapters until I get the feel of my characters and the direction they’re leading me. Sometimes the story changes and I go with the flow to see where it goes. Do you have a set writing schedule? No, I wish I did. I would be more productive with one. I get most of my writing done in the wee hours of the morning because I’m usually awake before anyone and I do need quiet time to concentrate. Biggest hurdle to getting words on the page and how you overcome it? Turning off my internal editor has always been my downfall. When I finally realized that, I’m able to recognize it and keep striving to write straight through a first, very ugly, first draft. What’s on your desk? Oh, my! It’s chaos right now as we’ve been rearranging rooms while recovering from some water damage in part of the house. My desk is temporarily the dining room table or any flat surface near me. A calendar, pens and pencils, sticky notes, spiral notebook for my daily to-do lists, coffee cup usually needing a refill, and my over-worked laptop. When can we get your next book and what’s it all about? There is no release date for book #2 in the Joyful Noise Mysteries series and no definite title, but rest assured there will be more escapades with Frankie Lou and the Joyful Noise teens when they take a road trip to a Texas dude ranch and wind up singing for their lives. Serving up her own batch of deep-fried sass by the page full, Lora Lee’s first mystery Bringing In The Thieves, Book #1 of the Joyful Noise Mysteries, is set in the type of Southern small-town the author knows so well. Revolving around the world of choirs, glee clubs and the well-intentioned shenanigans of a close-knit church community (Bless their hearts! ), the series stars single mom, Frankie Lou McMasters—a preacher’s kid who fell from grace—and her misfit group of teenage singers who form the Joyful Noise. Mix in a body in the baptistery and a wrongfully-convicted ex-con with a golden voice, and it adds up to a heap of sour notes in Ruby Springs, Texas, with Frankie Lou fixin’ to find out what’s what before she gets the blame, like always. Bringing In The Thieves is a December 2014 release from Bell Bridge Books available in ebook and print versions. Here’s a sample of what’s happening in the fictional town of Ruby Springs, Texas, when Frankie Lou McMasters – a preacher’s daughter with a tarnished halo – returns to her home town to put the shine back on her reputation. Add a band of misfit teenage singers, a wrongly-convicted ex-con, a body in the baptistery and suddenly Frankie Lou is vocalizing deep in the heart of murder. Now, I’m almost thirty years old, but truth is, I’ve never been hauled off to any police headquarters until tonight. My very first ride in a squad car might’ve been exciting if I’d needed the research to write an article on the county’s crime-fighting system. Unfortunately, that wasn’t even close to the reason why I was being driven downtown by two serious-looking RSPD officers. Did you know the back seat of a squad car is wooden and uncomfortably narrow? I tugged to straighten the bulky robe around me and scrunched down on the narrow seat as best I could, hoping no one in town would see me. That was a picture I wouldn’t want to see on the news. Keep in tune with Lora Lee and Joyful Noise at . 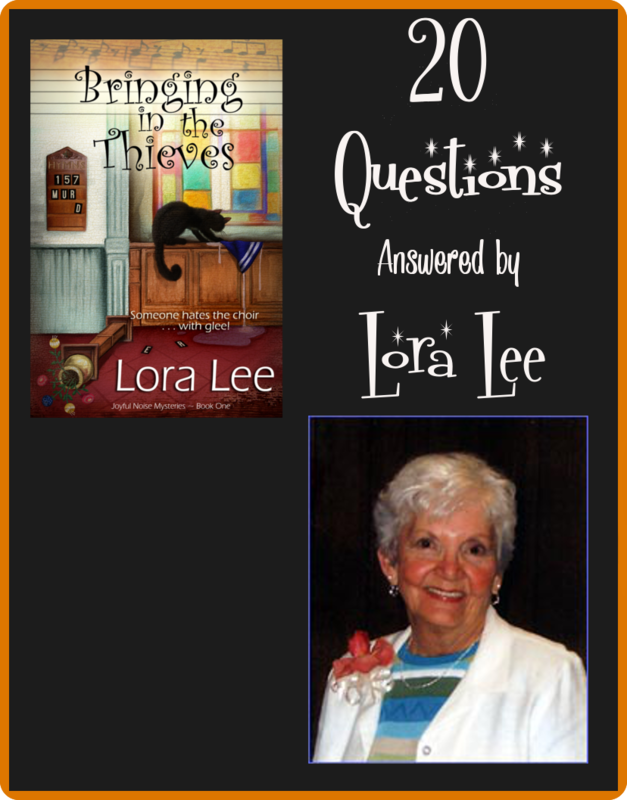 . .
Born in a small town in the Texas Hill Country, Lora Lee discovered the magic of reading at an early age and began inventing stories before she could write down the words. Her preacher daddy, as well as her mama, encouraged her love of books by making certain she always had a library card each time they moved to a new town. 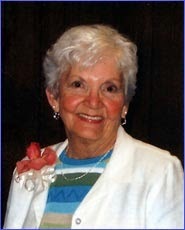 Known to her supportive critique group as LL or Tex, author Lora Lee is Mom to her four children and Grandma to her nine grandchildren and five great-grandchildren. With hubby by her side, she enjoys their exuberant family gatherings when all twenty-six members join them for good food and noisy ball games in the back yard. Lora Lee also writes as Loralee Lillibridge. Learn more about her contemporary romances at her Blogging Across the Back Fence and her Loralee Lillibridge Website. Nancy, thanks so much for having me as your guest today. I want to say right here that you've been an amazing critique partner and I'm so grateful for your advice. The pushes to keep me motivated were a big help, too. Many thanks, my friend. Loralee, I loved, loved, loved Frankie Lou. Your/Her voice is amazing. I could watch African Queen every day and not get tired of it. Wishing you much success and I can't wait for the next Joyful Noise book. Thank you so much, Diane. I'm more comfortable in that voice because it's my own. And I'm with you on the African Queen. Love Bogey and Hepburn! Hey, Tex! Bringing in the Thieves was a fabulous read. I found Frankie Lou to be a big-hearted, feisty gal whom I would have loved as a friend. The Joyful Noise choir were a great bunch of kids once you looked past the attitude, and appearance that their disadvantaged lives generated in them. The mystery was exciting, and Frankie Lou was fearless in her efforts to clear her name. Kudos for writing such a super great book! Awww, Pat, thanks for the kind words. So glad you liked the book. It was a lot of fun to write once I got into the heads of my characters. Loralee, I would love to return to Ireland too. The people talk to you on the street the way they do in Illinois where no one is ever treated like a stranger. Sharon Sala is a FB friend. Yes, Rohn, the people are so friendly there. I look forward to returning. What a sweet thing to say, Kristen. Thank you so much. I hope you enjoy reading the book. I had fun writing about Frankie Lou and her Joyful Noise singers. Melissa, we;ve conquered the water mess. Now I just have to put everything back in place, but I'm leaving that until after the holidays. Christmas is at one of our granddaughter's home this year. Thanks for stopping by Nancy's site to check me out. She asked a lot of questions! lol! Congrats on the latest release. Sorry about the water yuck. The important thing is you kept up the writing. Lucky us! Thanks for stopping by, Margo. You probably know most of these things about me, but maybe you found out something new today. Hmmmm? Actually, I'm pretty ordinary but I have fantastic friends! Many thanks to my majestic, regal, wise and wonderful friend, otherwise known as Her Highness, for visiting my blog and sharing her fun and fabulous new book! The perfect read for the busy holiday season . . . just sayin'. A tip of my crown to my awesome hostess with the mostess, Nancy Gideon, for having me as her guest. I'm humbled by the accolades and grateful for the chance to introduce Frankie Lou and her singers. I hope y'all enjoy the book as much as I enjoyed writing it.